A collection of lakes from around the world. Crater Lake at the Arenal Volcano (Costa Rica). 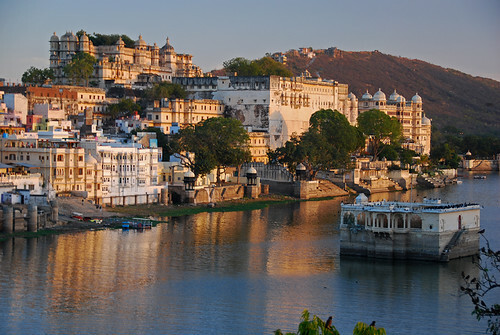 Udaipur Lake during the ‘Golden Hour’ (India). 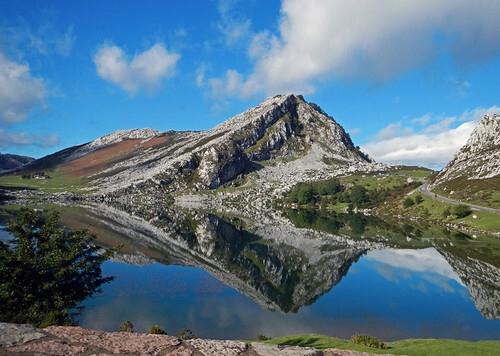 One of the Lagos Covadonga high in the Picos de Europa of northern Spain. 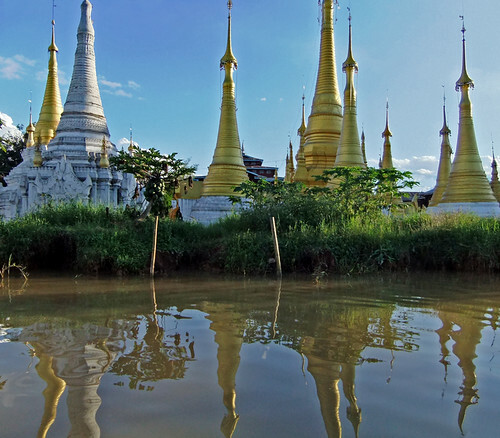 There were stupendous stupas and temples that almost didn’t look real on our route along Inle Lake in Myanmar. 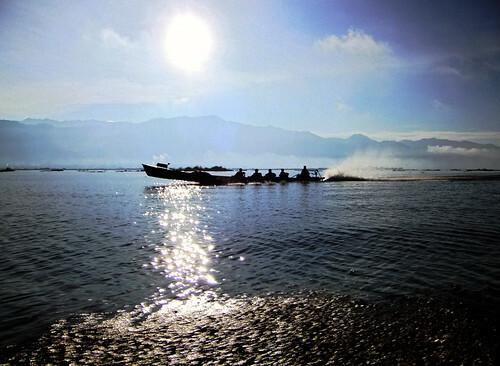 And another shot of Inle Lake – there were so many it was hard to choose! 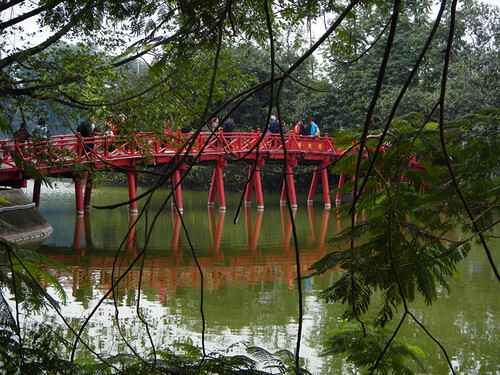 In the heart of Hanoi is the ‘lake of the returned sword’. There are several islands in the lake – this beautiful red bridge leads across to one of them with a small temple on it (Vietnam). Spotted Lake near Osoyoos in the Okanogan, BC, Canada. Lake Atitlan sunset, in Guatemala late December 1995. The bloody history of these villages around the lake had ended, and peace would be signed in 1996. New Year’s Eve was crazy with celebrations. 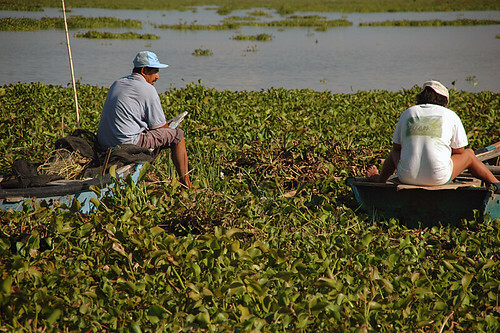 Two men chatting while sitting on boats on the water hyacinth-choked waters of Lake Chapala in Mexico. More of Jennifer Nichole Wells One Word Photo Challenge: Lake.